Now more than ever, interest free finance is everywhere we look. While allowing you to take home the items you have purchased that day, you will need to remember you are committing to a repayment schedule typically from six to thirty-six months. Reading the terms and conditions, understanding the fees and charges and staying on top of your repayments can make interest free loans a perfect way to relieve stress and financial pressure. However, like most loans if you don’t understand the fine print, miss repayments, or fail to meet your obligations it can be costly and lead to a lot of financial stress. Interest free loans are like most other loans in they are typically accompanied by an establishment fee and monthly account keeping fees. Sometimes the longer the term of the loan, the more fees are involved. Dishonour fees and late payment fees can be charged too. There are both pros and cons of paying interest free. For example, retailers will often keep their prices between $100-$300 higher if you are paying interest free, as they will need to cover their merchant service fee which can be anywhere from 9% to 12% of the finance being sold. Had you been paying cash for the item they may have sold it to you for less. Don’t be afraid to negotiate for cash purchases. Let’s say you have purchased a new fridge on twenty-four months interest free for $1,295. The statement you will receive from the Finance Company will usually only ask you to pay a minimum payment of around 3% per month which on this purchase would be $38.85 per month. However, to pay back $1,295 in twenty-four months your monthly payments need to be around $54. Accordingly, if you only paid the minimum, you would end up with a shortfall of approximately $360. So if you want to avoid a shortfall at the end of the term you will need to pay $54 per month plus any monthly account fees that apply. 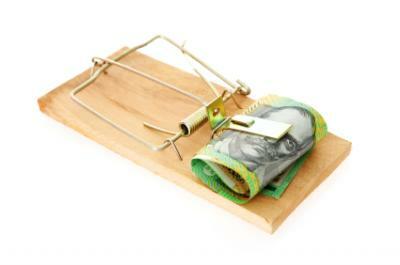 Most finance companies will charge anywhere from 27% to 29% on payments not made within the interest free time period. With penalties this high, it certainly pays to make sure you are ahead with your repayments. • More often than not they will approve you for a higher amount than just the amount of the item you wish to purchase. This makes no change to the payments that need be made and acts almost exactly like a credit card, but be careful as this card could also carry an awfully high interest rate and other unfavourable characteristics. • Just because it is an interest free card doesn’t mean all purchases made on it will be interest free. Cash withdrawals, BPAYs, any purchase that is a non-promotional purchase will typically be charged interest. A way to avoid this is once you receive your first statement call the company and ask them to make your limit only what is owing. This takes the temptation away from spending money you don’t have. • Make sure to read the terms and conditions and don't be afraid to ask questions if you don't understand. On a positive note consumer spending has been made easy and in some cases less stressful by this very tool. It is an easy way of purchasing an item you need in the short term without the immediate financial pressure, however this also causes impulse purchasers which are often not thought through and can leave long term damaging financial stress. Save when you can, purchase when you must. Saving for significant items can be rewarding even though there are quicker ways. It pays to know where your money goes. The Budgeting Calculator is an easy tool to review your spending habits.